"Not since Heifetz has anyone played Gershwin solos with this much panache ... the songs glitter like jewels against black satin." "... Knight plays with marvellous verve and spectacular confidence. Notes are never fumbled or blurred, yet the performance has swing and drive ... could almost serve as a primer for the qualities of rhythmic and dynamic grace ... Knight's control of the dynamic line is as compelling as his command of the melodic one." 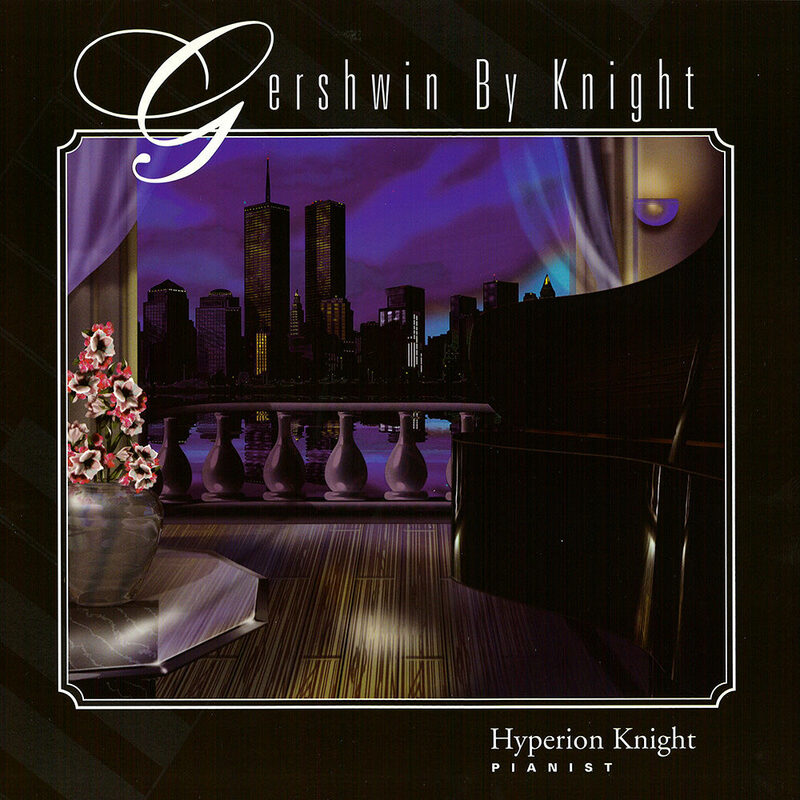 Gershwin by Knight is a collection of Gershwin song transcriptions along with the solo arrangement of Rhapsody in Blue performed by Hyperion Knight, who has made a specialty of virtuoso piano transcriptions in the tradition of Liszt and Horowitz. The music brought together on this album represents many of the most popular Gershwin creations, tracing his evolution from a commercially successful songwriter to a composer of serious intent who was quite conscious of his posterity.